Can this cool gadget be considered a home decor too? I would think so. Its elegant look definitely makes it look neat on a table, especially if the table is white. 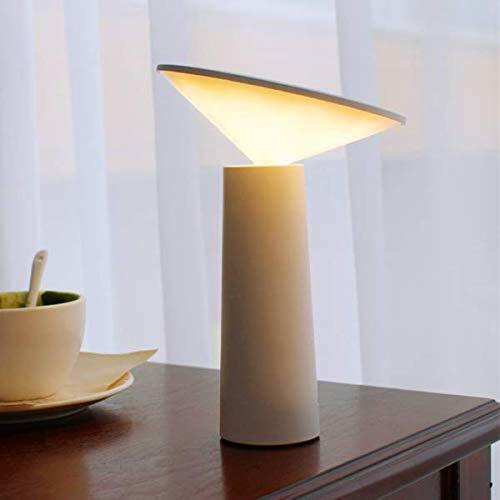 This futuristic looking Gerintech table lamp costs well under $20 if you use the coupon code on the Amazon page. Though the lamp does not have full RGB color capability, it does have options for warm, white and natural lights. 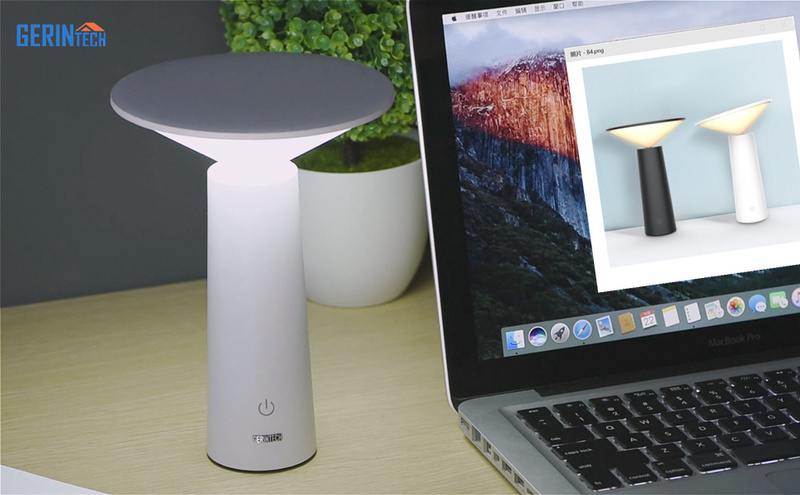 Equipped with a rechargeable battery, this desk lamp could last around 5 hours on a single charge. If you are planning to keep it fixed on a table, I would recommend running it through the electricity rather than charging it multiple times throughout the day. But, it is certain that the rechargeable feature can be an added feature as it makes the lamp portable. Adhering to innovative design, Gerintech Touch Senor Night Light GT-407 is a great way to use it as a night light right next to the bed, light up the computer desk, offer soft light when reading a book, or give the perfect ambiance for outside entertaining and dining. With its stunning futuristic design, this table lamp could beautify your table and of course your home. Cute & Innovative Design: Inspired by the lovely shape of a child with a bamboo rain hat, Gerintech designed this touch-activation table lamp. 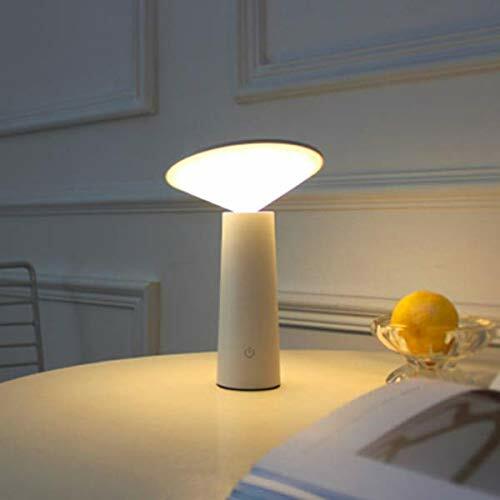 The flexible lighting head makes the lamp looks more lively and vibrant. 360° Light Up: Due to the conical shape of the lighting head, the lamp can light up a good area in a 360 around you. With its flexible design, you can adjust the lighting head up to 40° vertically according to your illumination needs. 3 Color Modes: You could choose the color temperature between white light, warm light and natural light by a simple touch. It’s a versatile desk lamp both for computer work, study, reading and relaxing. Adjustable Brightness: Keep long touch on the power button will adjust the light brightness effortlessly from bright to dim or dim to bright. 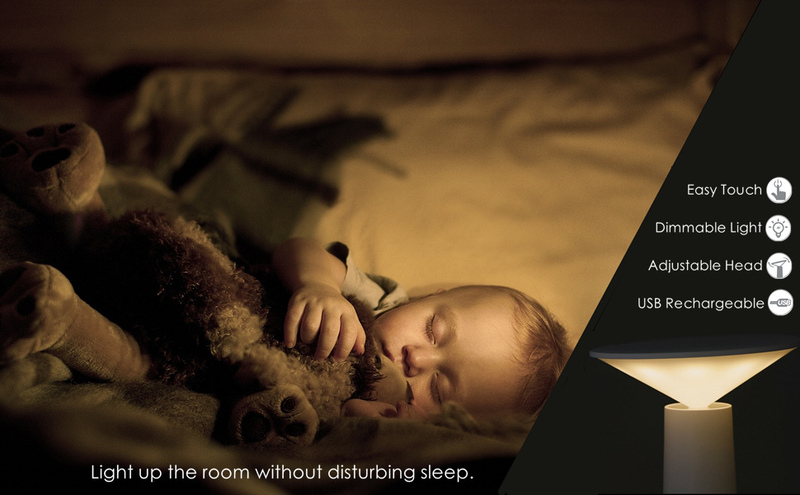 The lamp will restore the latest brightness setting automatically. Portable Use: This rechargeable table light comes with a standard micro-USB cable for charging (No Adapter included). It can light up around 4-10 hours after fully charged.